It is, in a word, glorious.... what I feel is the inherent power and mystery of such material, the arrangement of these images and sounds into a definition of cinema constitutes one of the greatest pedagogic films I have seen.... my main reaction is to haIt is, in a word, glorious.... what I feel is the inherent power and mystery of such material, the arrangement of these images and sounds into a definition of cinema constitutes one of the greatest pedagogic films I have seen.... my main reaction is to have my socks knocked off. Film ist. 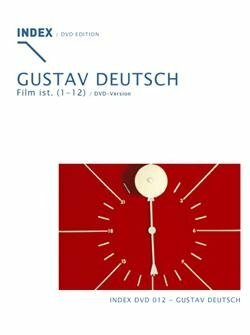 (1-12) has been edited down by Deutsch from an original two part 153 minute theatrical (?) release to 77 for this DVD. I hope that someday we can see a release with the entire 153 minutes. Regardless, this is an entertaining and thought provoking use of found footage. One of the best experimental DVD releases in the last decade.